My absolute number one: Anna Durkes is a hidden gem which is located a bit outside the city centre, but still worth a visit because they truly serve the best strawberry cheesecake ice cream I've ever had in life. Also the other flavours were delicious since we tried quite a few of them! Hokey Pokey is located in the Prenzlauer Berg district and serves some really extraordinary and fun flavours. Definitely a go in case you're in for a little experiment - don't worry in case you're not, they also sell quite a lot of 'normal' flavours. My favourites were banana/peanut butter (including chocolate chunks), blueberry meringue/mascarpone and chocolate brownie with small pieces of marshmallow. 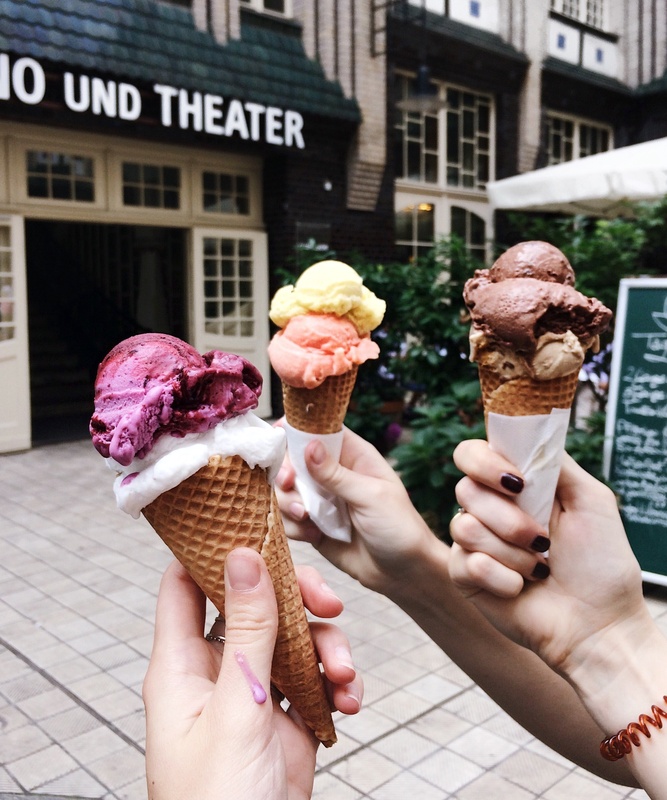 This ice cream shop is located in Mitte, and within one of Berlin's popular shopping districts. Perfectly for getting a cold treat in-between your hot shopping adventure. Make sure to try their chocolate brownie flavour because it was the best! Eismanufaktur is also located in Mitte, and particularly offers the more classical Italian ice cream flavours (of very good quality).